The Sonoma State University Seawolves Women’s Soccer ID Camp is a 1-day identification camp on October 14. It will take place at the Sonoma State University campus and will run from 9:00 AM to 2:00 PM. This is an opportunity for soccer players who have high interest in playing at the collegiate level. The program will provide advance understanding on both the technical and tactical aspects of the game. There will be sessions that will tackle college recruiting procedures. It will also immerse the participants into a collegiate level training and competition atmosphere. In essence, the experience will be enjoyable but challenging. Sonoma State University, formerly Sonoma State College, is a public, coeducational, comprehensive university in Rohnert Park, California. It is a member of the California State University system as well as the Council of Public Liberal Arts Colleges. The university is offering 92 Bachelor’s degrees, 19 Master’s degrees, a Doctoral degree, and 11 teaching credentials. Furthermore, Sonoma State University has an accreditation from the Western Association of Schools and Colleges. Its School of Business and Economics has also an accreditation from Association to Advance Collegiate Schools of Business. The university is consistent on gaining academic recognition. In fact, it is 57th in Regional Universities West, 2018 edition of Best Colleges rankings. It is also 14th in Top Public Schools rankings. Sonoma State University has 14 intercollegiate sports teams competing in the California Collegiate Athletic Association of NCAA Division II. 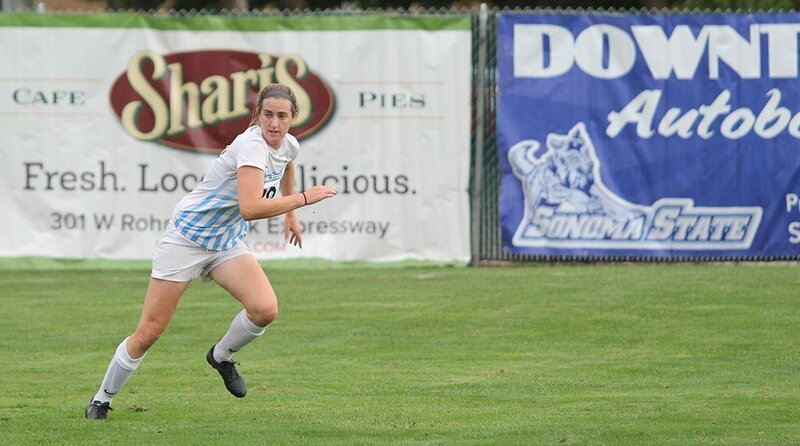 The Head Coach of Sonoma State University women’s soccer team is Emiria Salzmann Dunn. She is in her 7th season as the Seawolves women’s soccer team’s head coach. Under her leadership, The Sonoma State women’s soccer has already a CCAA title, 5 consecutive CCAA tournament appearances, and 4 NCAA tournament appearances. Moreover, Coach Dunn is the 2015 CCAA Coach of the Year awardee. Then, the Seawolves women’s soccer team’s assistant coaches are Margi Osmundson and Mark Dunn. Coach Mark Dunn is the husband of coach Emiria Salzmann Dunn. The Sonoma State University Seawolves Women's Soccer ID Camp will provide advance understanding on both the technical and tactical aspects of the game.